Me and my beautiful grand baby waiting to hear from you. ABOUT ME: Hi Quilters and Cruisers! My name is Dawn Olmstead and after 42 years of teaching, I've decided to pursue my love of travel and helping others by becoming a travel agent. With many of my friends participating in quilting and scrapbooking classes, I discovered their interest in traveling while crafting. 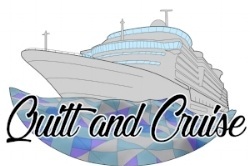 Thus was born Quilt and Cruise! It is my hope that our cruises, destinations, and projects might prove exciting to you. Outside of Quilt and Cruise, I am a full time travel agent who would be able to assist in any type of trip from Disney to Denmark or Cancun to Cambodia. Please consider me for your travel needs.